If you own a business, you know how important receipts can be. They help to track what has been sold or the services that have been rendered, keeping everyone in the know about what is going on. A general receipt template holds important information, and it helps to keep your company acting professional in all that you do. 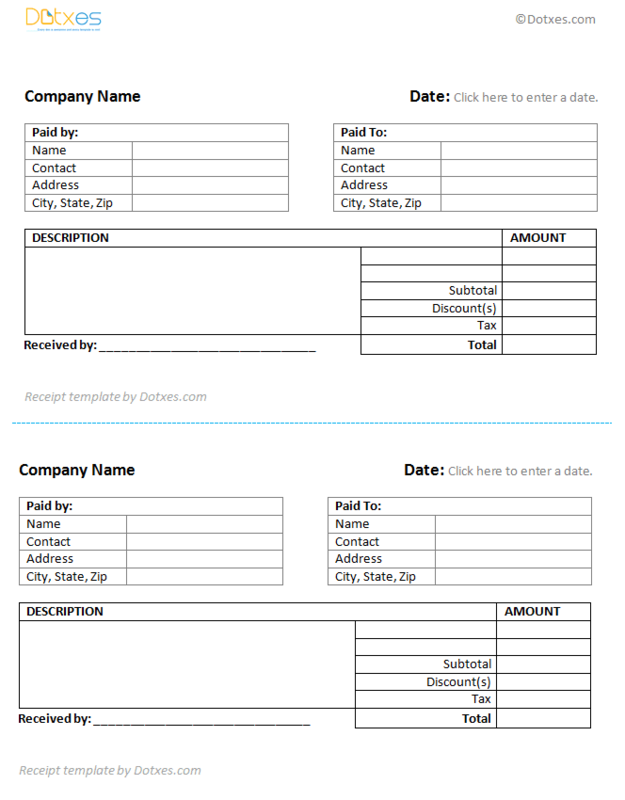 This general receipt template helps anyone create a receipt that is custom to their needs, and a receipt with an appearance that is professional. This receipt allows you to tally up the amount of money that exchanged hands, and to write that information down in a place where it will not be lost. Always include the price of each item that was purchased or each service that was rendered. Always include the total amount of money that switched hands in the space that is provided. Include your company name at the top of the page. Include your company address and contact information. Always fill in all the information that you possibly can.